::A&A:: 50% Sale until 2-23-2014, a photo by Alliana Petunia on Flickr. We are having our very first store wide sale! 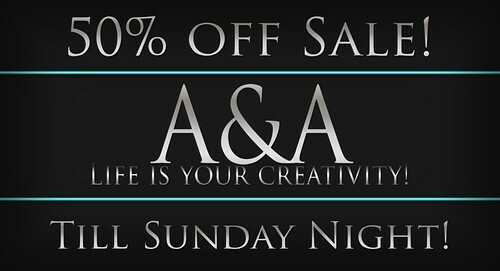 Everything is marked down 50% until Sunday! YES! Even all the new releases! The sale includes all of A&A, including our jewelry section, Diamanté Jewelry!! Stop by and see us and don't miss out on this spectacular sale!